Have you ever heard the phrase “You’re leaving money on the table”? As smug as it might sound, this would describe a business that doesn’t incorporate Search Marketing within their Campaign. It’s a particularly useful practice for reaching your audience when they don’t know that you exist yet. I can’t think of any businesses that aren’t using Search Marketing in some form, and that should speak for itself! It’s arbitrary to say, but Google does stand at the forefront of Business growth online. Whether you provide an online service across the globe or a local brick and mortar store. They can serve you, far better than you may believe. Google have been fine-tuning their Search Engine to serve you the most relevant results based on your requirements. All this tech is hidden away, but it can work wonders for your business too. Google can help you tailor your products or services, so consumers can discover your content. Rather than forced upon consumers like tired salesman tactics. When you type something into Google Search, you will be presented with a list of results based on what you typed in. The text you typed is a ‘Search Query’, while the page that it displays is a ‘Search Engine Results Page’ (SERP). 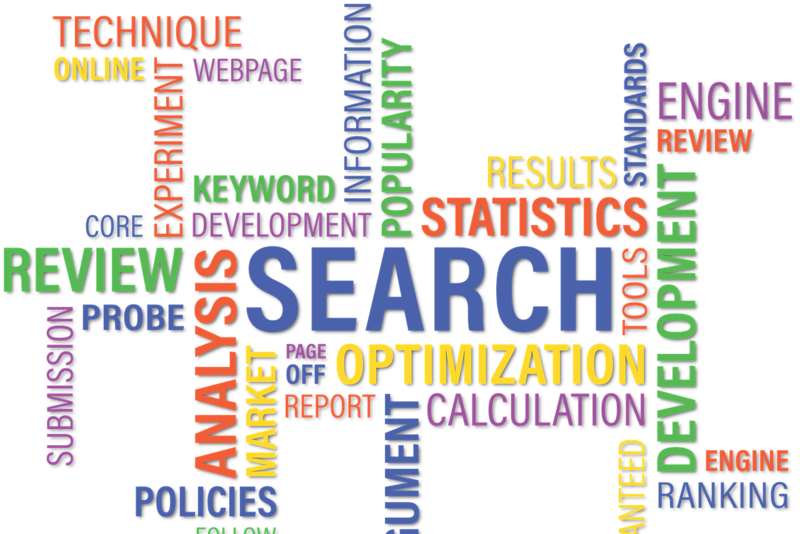 Setting up your business to appear in a SERP is ‘Search Marketing’. A search listing is characterised with the use of Keywords which are split into 2 groups of their own; organic & paid keywords. 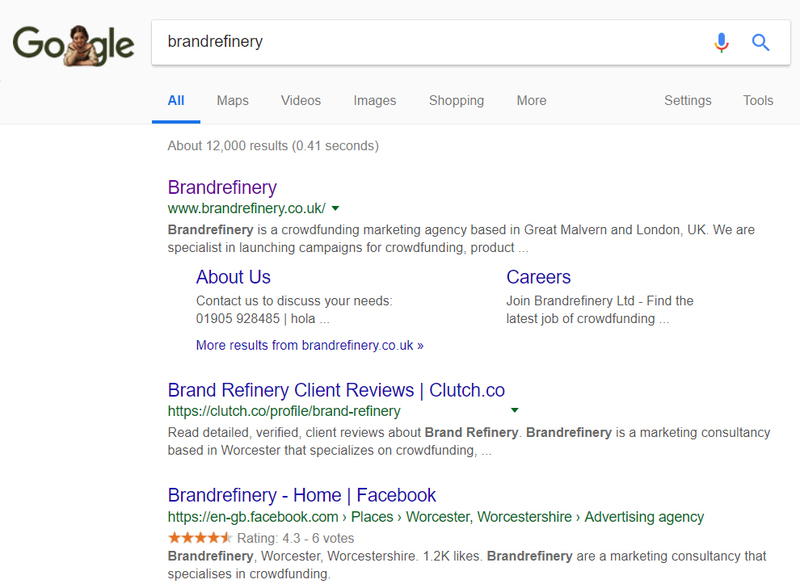 The search query will be able to dominate the organic search results, at least while searching “brandrefinery’. When you search for a specific brand, your organic keywords will work out well. When you search for a specific brand or company, they’re hardly likely to sway to some other company on a whim. They’re already aware that you exist and they’re seeking you out. No need to worry about attracting attention from this sub-sector of your audience. But a thriving business can’t always bank on existing customers, you need to focus on attracting new customers. As far as they’re concerned, you don’t exist. So its guaranteed that they won’t be searching for your company by name. The search query “Crowdfunding agency” will also return BrandRefinery as a result. This time it has pulled one of BrandRefinery’s paid ads. 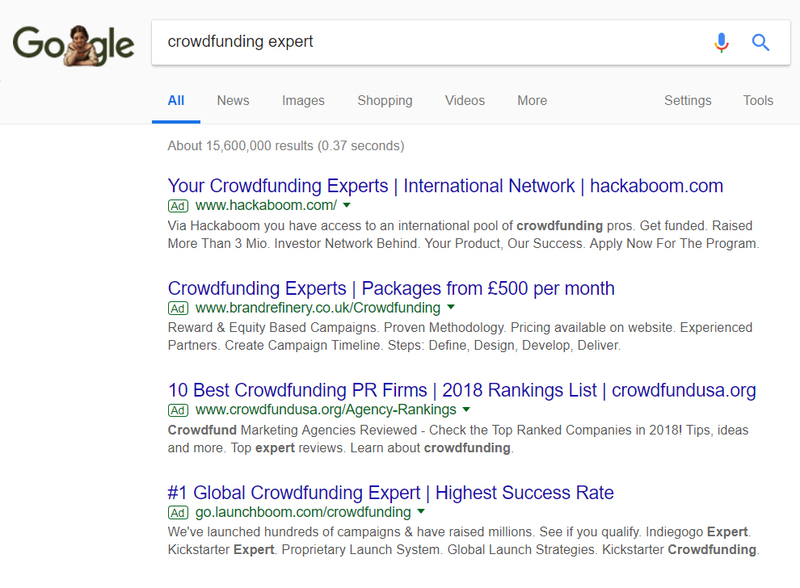 Paid Ads are always displayed at the top of a SERP. If multiple Ads are triggered, then they will be listed in a calculated order, this is based on ‘Keyword Bids’ and ‘Relevance’. Your SERP will not only be calculated by how much you’ve paid. Otherwise only the biggest (not necessarily the best) companies would rank the highest. There’s no point to throwing out all the keywords you can think of if you can’t prove its relevance. As a customer, will they find your website relevant to what they originally typed in their original search term? People can be quick to judge. If a landing page doesn’t present its relevance to the keyword they searched, they’ll leave. Viewers who leave a website after viewing a single page is called ‘Bounce Back’. What can Search Marketing do for me? Your website should appear in more SERPs – this is measured as the number of ‘Impressions’. Increased visibility across the internet. Online promotion to encourage offline conversion, such as Store visits. Increased Conversion Rate – Landing sales, collecting emails, whatever your objective is. Your goal is to assure your audience that they’re in the right place. That the high position on the results page is justified, it’s representative of the quality of your products or services.